Aquafine Watercolour Ink is a pigmented, water soluble ink range with high degree of lightfastness and intermix-ability. Aquafine Watercolour Ink is a pigmented, water soluble ink range with high degree of lightfastness and intermix-ability. 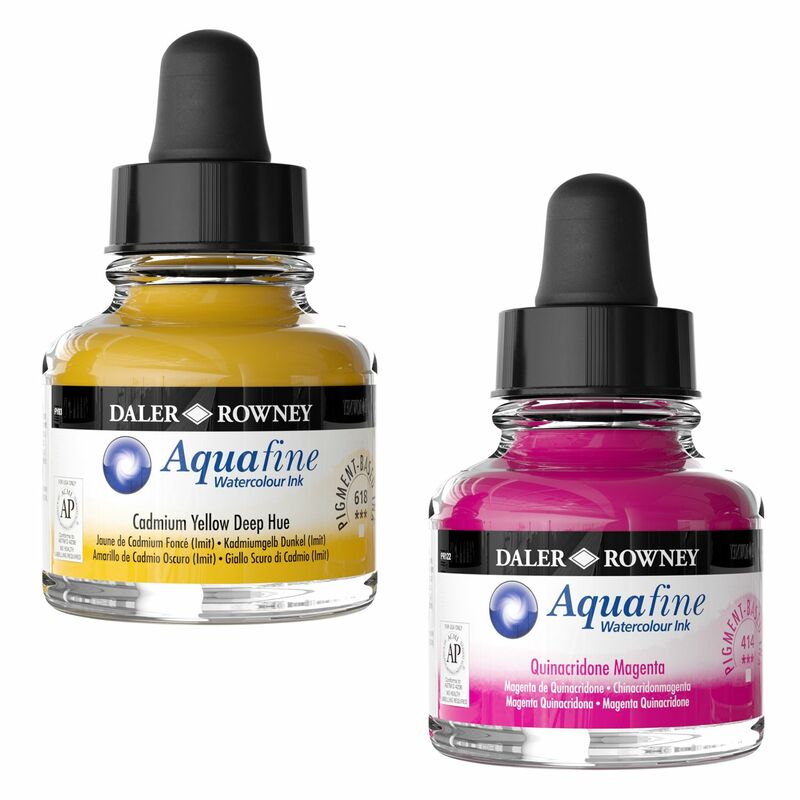 Aquafine Watercolour Ink can be used straight out of the dropper, or diluted to archive the most subtle of tones. Because the inks are formulated with genuine fine art pigments, colours will remain bright and vivid over time compared to dye-based inks which will quickly fade. Aquafine inks can be applied using traditional brushes, but also work well through airbrushes, technical pens, and paint markers making them ideal for producing technical illustrations and finely worked drawings. The expressive fluidity of watercolour inks is suitable for use of artists, illustrators, graphic designers, calligraphers, decorative artists and hobbyists.